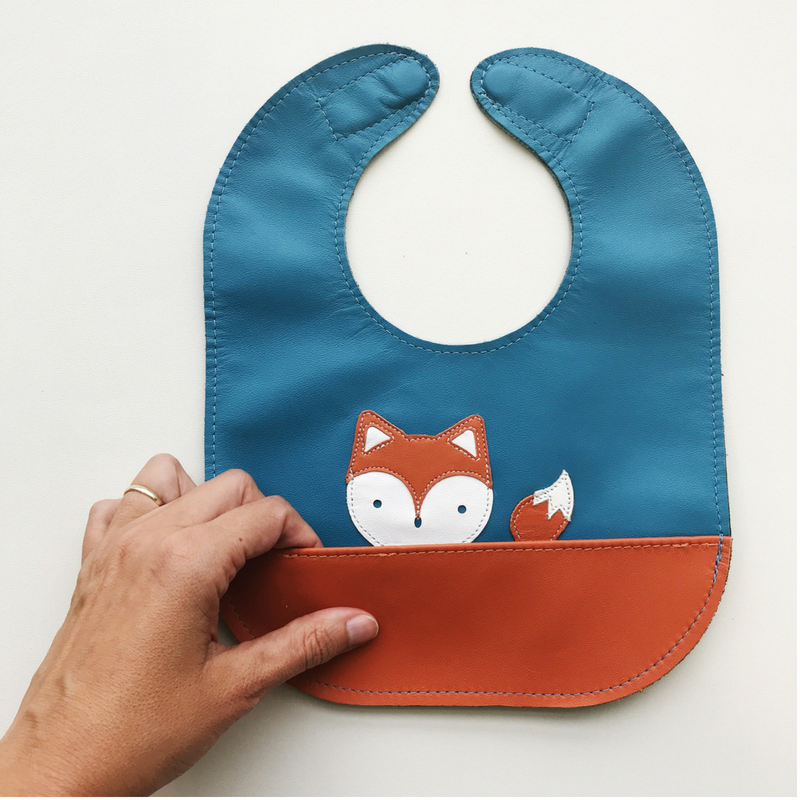 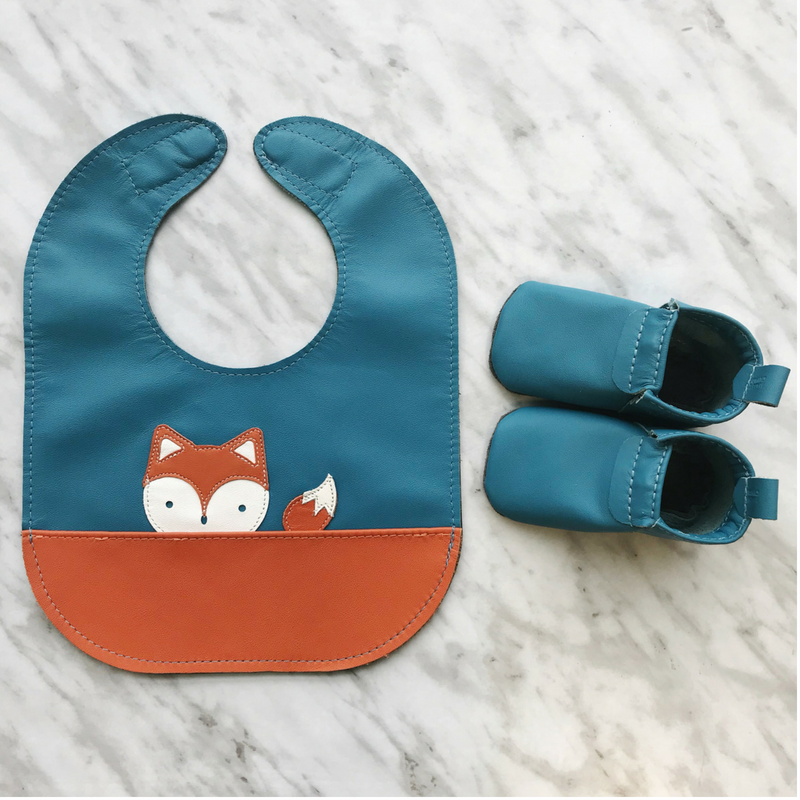 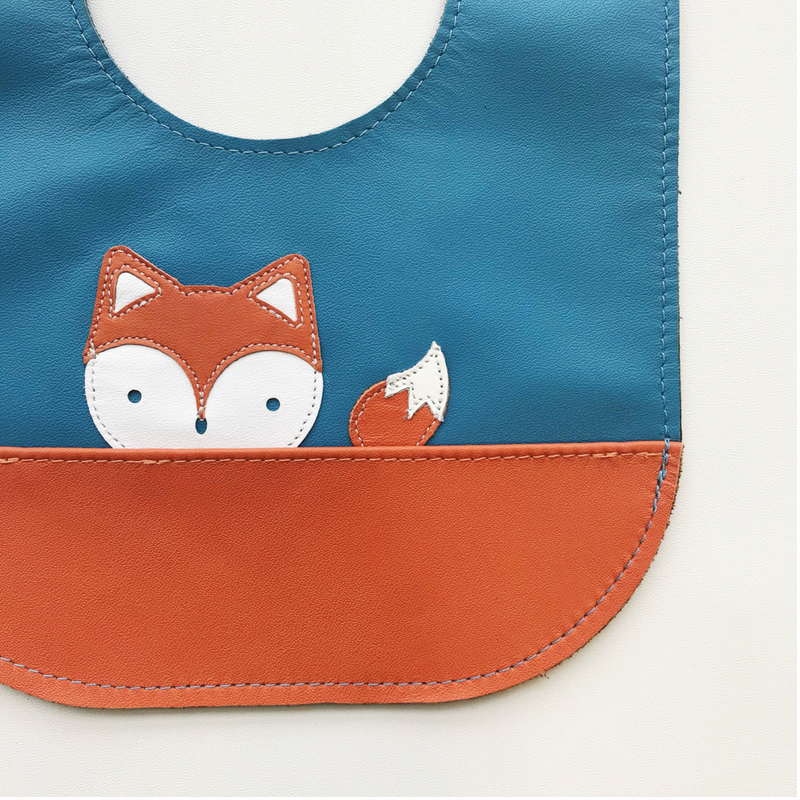 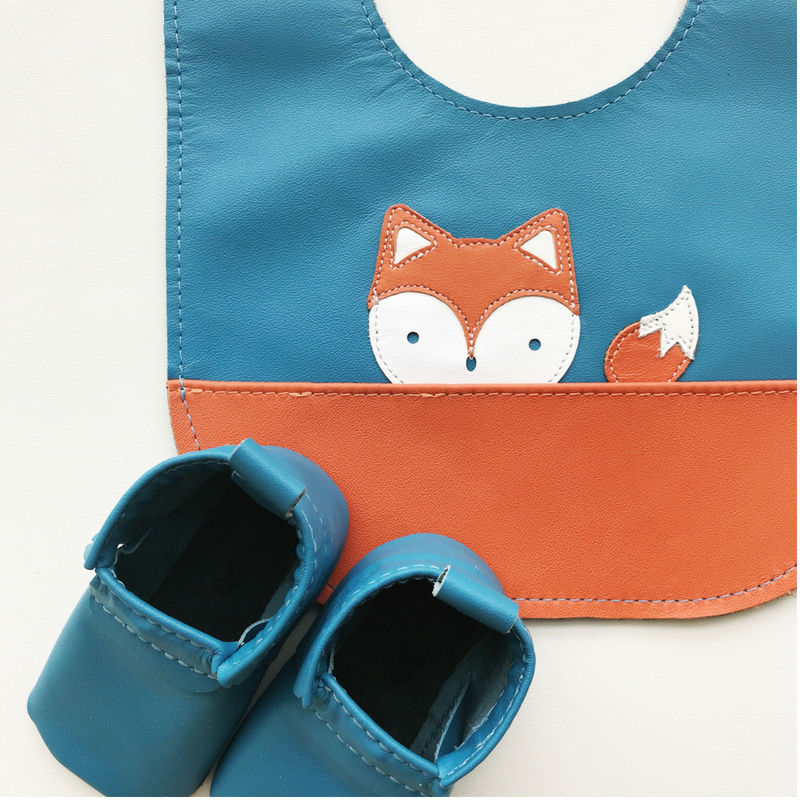 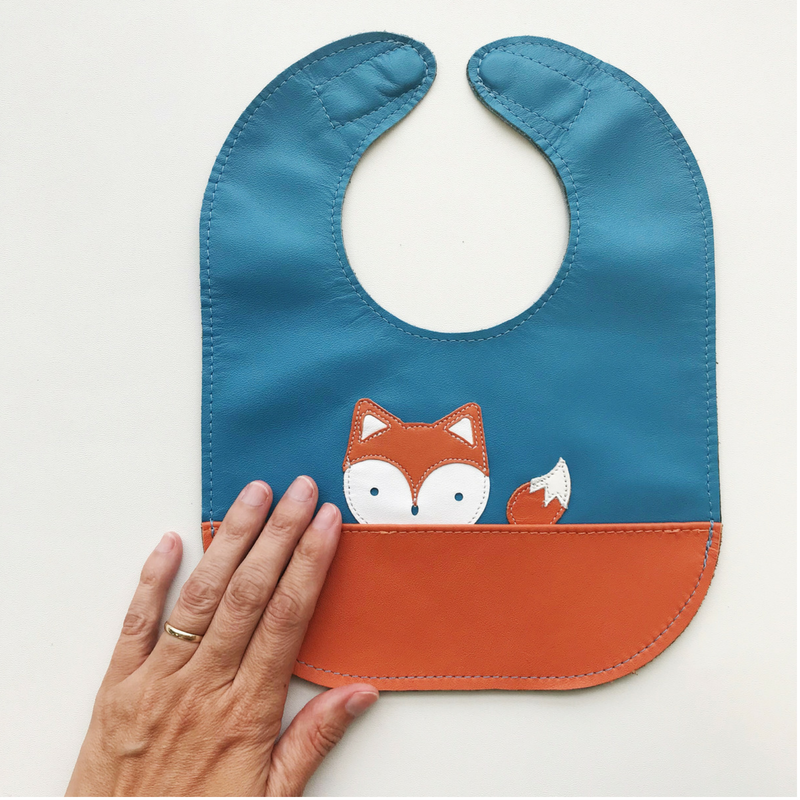 Guaranteed not to stain, this leather fox bib is the perfect neutral as it's equally popular for boys or girls. 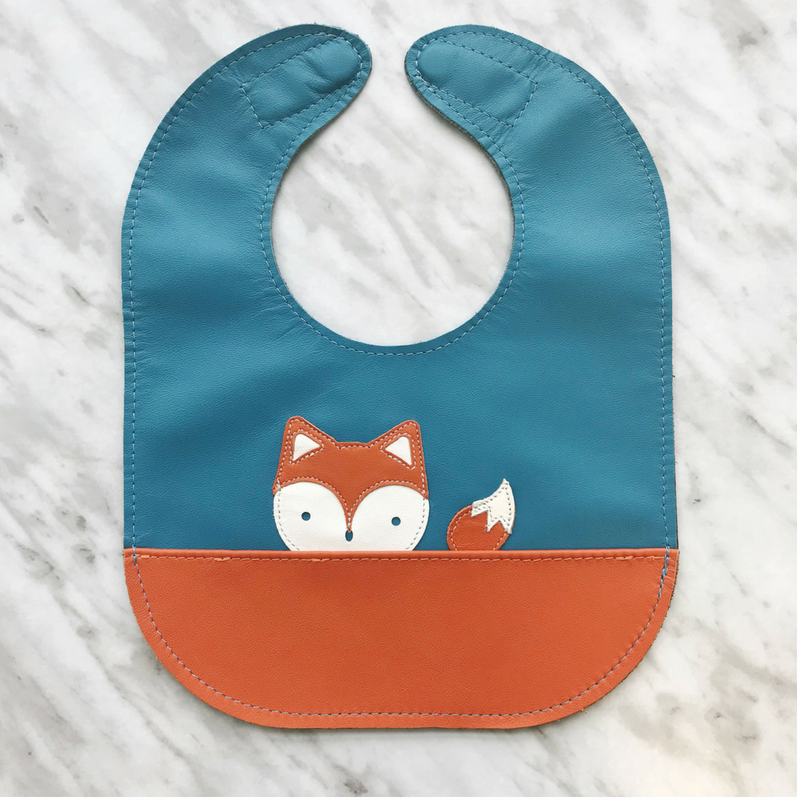 The bib is our wave blue with a tangerine pocket. 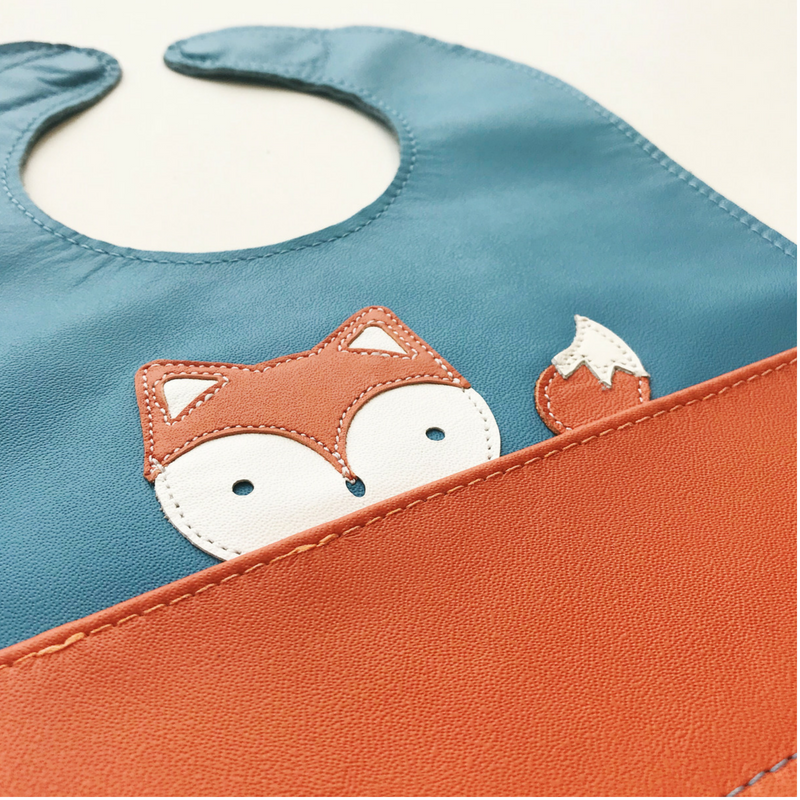 Personalize the pocket with a name, word or nickname to make it extra special.